Vanessa started practicing yoga 9 years ago, initially the traditional Bikram Yoga style, to counteract all her running and gym and bring some quietness into her day. In 2014, Vanessa was fortunate enough to attend Keenan Crisp’s workshop in Perth and feel in love with the Vinyasa flow and intensity of the practice. This inspired her to take on the first Perth PLAY 200hour teacher training led by Duncan Peak, which was for her a mind blowing experience. The yoga became less about the poses, and more so the psychological and spiritual aspects of the practice. 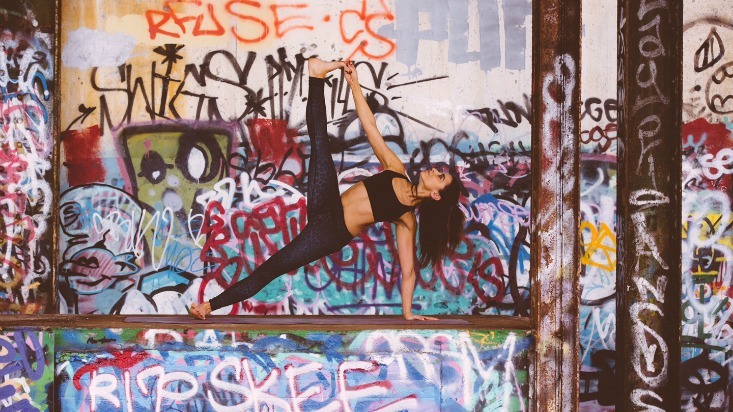 Since graduating, Vanessa has taught for Lululemon and been teaching both Vinyasa and Hot Yoga regularly at PLAY studios in Perth. Vanessa’s classes challenge you to take yourself out of your comfort zone and ignite the fire in you! My favourite asana is Urdhva Dhanurasana (Wheel) pose. I love the opening through the chest and heart space and strength in the legs. I could stay in wheel forever! I love to run. I find it to be such a release after a busy day and to have the time to myself to blast music in my ears and just run. My favourite place to run is definitely Cottesloe beach. I also love to cook and being brought up with a strong Italian background, there was no shortage of good quality yummy food! I am interested in learning more about how food gives us fuel. I was so inspired watching and going through the teacher training process with so many good friends. I definitely inspired me to find the courage and strength to be able to stand in front of a packed out yoga class and teach my heart out – something I never imagined myself being brave enough to do!